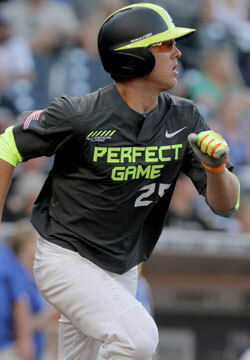 Rutherford has long been regarded as one of the top position prospects in the 2016 class and even played for the 2014 USA 18u National Team as a 16-year old. He has a smooth and polished lefthanded swing that projects plenty of future power as physically matures. Rutherford is also a 6.7 runner in the 60-yard dash with equal defensive polish and skill in the outfield.